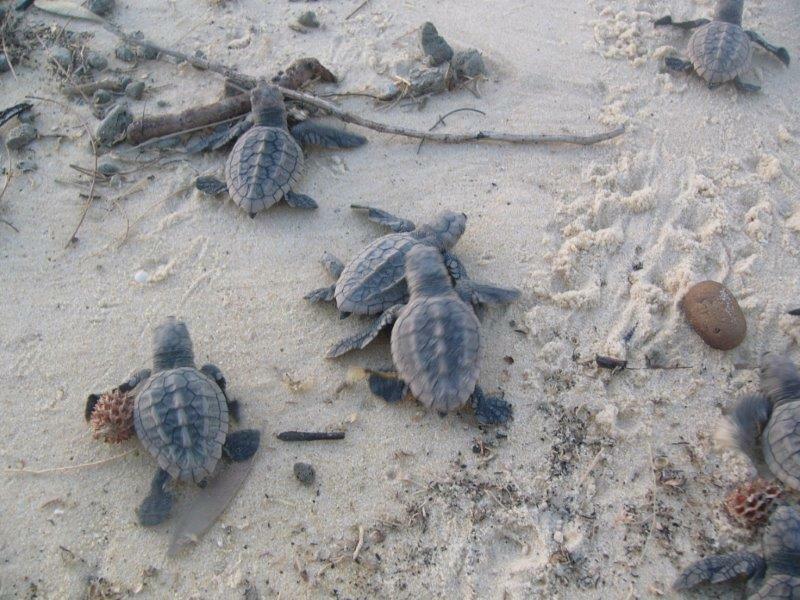 Loggerhead nests are relocated into 4 “dingo proof” hatching pens that are situated back from possible erosion. Between 60 and 100 nests are relocated each year, which translates to between 6000 and 7000 eggs which dingoes and sea erosion cannot destroy. By finiaadmin in Gallery, QPWS, Sandy Cape Lighthouse Conservation Association, Science, Surveys & Monitoring on May 29, 2013 .